Welcome to my new website Woodswriting.com. I hope you will enjoy what you find here. Stop by often. It made the flowers sad with the rose no longer there. In twilight past dreaming, she went dancing through the air. among the roses by the dozen, there you are, waiting for the sun to rise and brighten up your room, and bring you back to bloom. Stretch your sleepy limbs backstage — point your long stem straight and firm as your petals waking up begin to turn, to greet the final spotlight of this play, where the whole world can watch you slowly dance the night away. To view a rock garden in Zen tradition, some say, helps to contemplate the meaning of life. Our skin-tight suits hold us in like captives of our own private space. while drops of rain begin to fall like tears on you and I.
past all the plants and rocks and things that someone carefully arranged. through circus hoops of angel fire. “There he is, over there”. waiting for the end, nothing left to do but pray. when I heard them laugh and run away. I’m working on two books now. 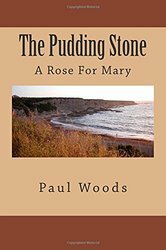 The Pudding Stone contains the most recent poems and short prose, while Untitled (for now) is book length fiction currently in the first draft stage. You can view examples of Pudding Stone above, more of which will be forthcoming. 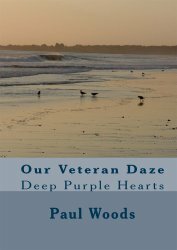 I would like to post reflections from time to time on specific titles from all my books. I’d also like to start posting clips from the (untitled) fiction project after it clears the initial draft stage(s). My last post was mid April, ’14. That’s a long break between takes. My fiction project, Heavenly Mist, needs a break from me. We will publish soon so I can turn to blog. I’ll try to keep them short. 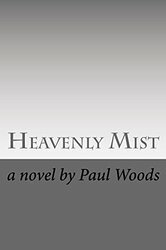 Heavenly Mist, my first published novel, is now available in print on Amazon. A Kindle edition will soon follow. I should be printing a summary, along with character descriptions and my own views on the story. Heavenly Mist is about twin brothers, Vincent and John McDougal, the youngest of four children. The narrative opens in 1955 when the boys are nine-years-old. They live with their fifteen-year-old sister, Iris, and their mother, Mary, in a working class neighborhood in Boston. Much of Heavenly Mist is told through the written words of Vincent, who discovers creative writing as a breakthrough in the emotional isolation that he shares with his siblings. For the McDougal family, Christmas Eve, 1955, is over before it begins. The tree is up and the lights are in the window; but Mike, the father, has been thrown in jail for public drunkenness. Earlier that summer, Anthony, the oldest son, escapes the home front by enlisting in the Air Force. Iris has been thinking about the convent. Vincent and John, meanwhile, promise their mother that they won’t end up disappointing her like their father has. For the McDougals, life remains a slippery slope, even after Mike gets sober. Estranged from her husband, Mary finds a job as a cashier and moves back to the old neighborhood. Though she’s still living at home, Iris seems more or less on her own. But the twins are still young. Mary is busy trying to make ends meet, and without a father figure present, the brothers become accomplished petty thieves before they reach their teens. A small grocery store owner in the neighborhood takes the boys under his wing. Mack’s guidance, particularly with Vincent, helps keep the boys out of any real trouble. As an adult, John’s blackout drinking gives rise to guilt over stealing from a church poor box, and the delusion he is being watched by aliens from another galaxy. Vincent’s coping mechanism becomes an intense imagination that usually winds up being part of the literary record. For Vincent, writing is a retreat, a place to look forward to at the end of the day. He can leave the world behind, but never for long. In the story, John’s only friend mentioned is a drinking buddy named Tom. John’s home is anywhere he can find shelter. Vincent, on the other hand, enjoys a quiet, comfortable life. He lives with his mother until the story ends in 1983, when Mary decides to leave and be on her own. For Vincent, there is no mention of friends or relationships outside the apartment—which does not mean that there aren’t any. Rather, it implies a wall of secrecy that the family members all seem used to hiding behind. Heavenly Mist is written more as episodes than chapters. 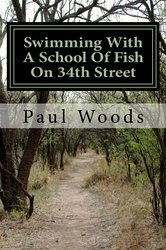 Two stories that take place in the 1950’s look at teenage gangs and running away from home. An episode titled Stagger Lee describes Vincent and three friends out driving around on the night following the assassination of JFK. Older brother, Anthony, never appears in the story, yet his presence can be felt, thanks to Vincent’s pen. He appears in a short scene as Danny’s older brother, Mickey. In that scene, character Danny plays Vincent, a departure from Vincent not using his own name when playing himself. Danny looks up to his older brother. When a confrontation occurs with Jessica, a girl in the neighborhood, Mickey mysteriously disappears, leaving young Danny to “face the music”. Anthony appears again, more briefly, in a dream sequence titled Heavenly Mist; and again as a supporting character in another (dream) sequence where the intoxicated father tries to force his oldest son through an open window. The question seems to be whether the greater loss that Vincent writes about comes from the absence of the father or the older brother. Vincent the author appears more direct in expressing his disappointment toward the father. By the end of the story, Vincent has brought his family full circle, where it all began on Christmas Eve back in 1955. It’s Christmas Eve, 1983. Mike is back in the tavern, only now he’s sober and tending bar. Mary, the mother, has left the family to go her own way. Iris, who wound up leaving the convent to start her own family, now appears to be without them (and no explanation, of course). John is newly sober while Vincent is left at the helm, trying to steer the family ship away from the rocks. My new project, a book length fiction, has now become two separate books. The two leading characters have their own story to tell. More on that. Friday, August 28, 2015 Project change again. Book length collection of short fiction titled “Anthems”, due out 2016. Excerpts to appear on my blog coming soon. I promise. 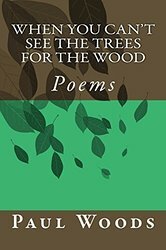 Also doing a prose version of my poetry books as a collection, due out sometime in 2016.